CRIME – outfit repeater. But that is no biggie, right? 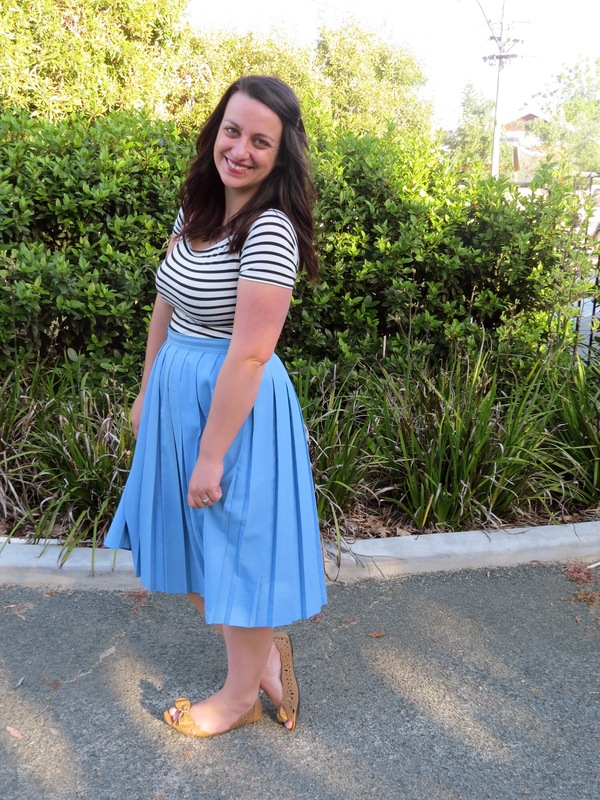 And technically I haven’t completely repeated an outfit, I’ve simply found another way to wear my vintage midi skirt! If you missed my last outfit post, this $4 beauty came out with me to the Telstra Perth Fashion Festival. Paired with sequins it was a bit of a winner, but for a relaxing afternoon in Fremantle you’ve got to keep it a little more casual. 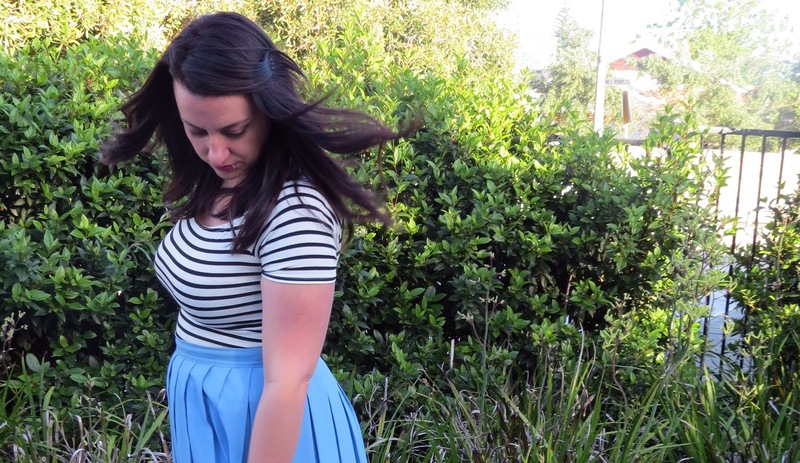 Stripes never let me down, and this Ally crop (tucked in of course, my tummy is very white) gave the outfit a nautical vibe. Freo is one of those places filled with the weird and wonderful and I spent Saturday afternoon enjoying a good coffee in the sunshine with a new friend. If you’re a people watcher, get down to Fremantle ASAP, it’s the perfect place to ogle. I spent my weekend on a relaxing mini break. I must say that I love your shoes and I love Fremantle too – it’s got a great vibe. 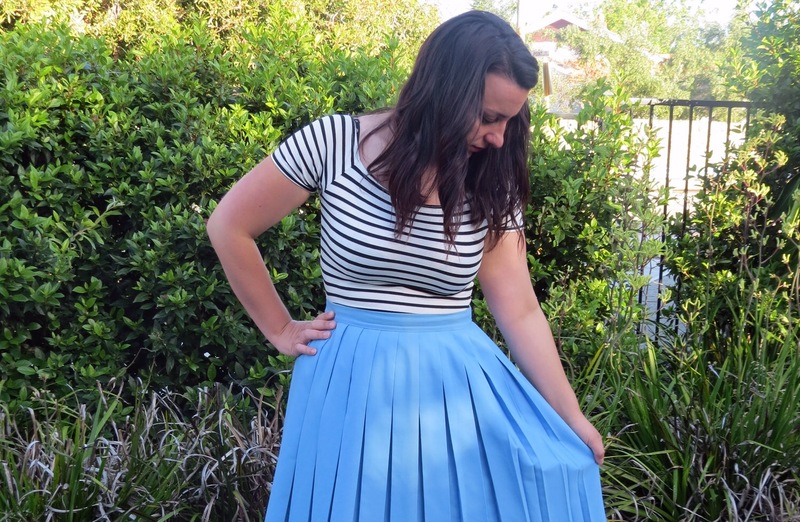 Love a stripe and skirt combo! Looks great. I love stripes. They always look so smart and are right for almost every occasion! 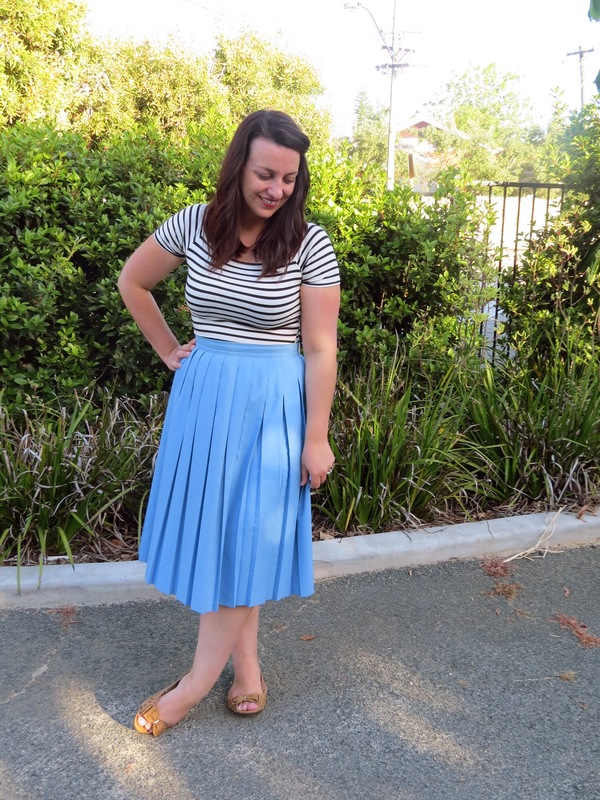 Stripes and pleats, two of my favourites!